The middle of winter can be dreadful and lifeless, especially with biting cold weather and falling snow. This weekend, Goshen College presented FROGZ, a show that brought joy and whimsy to brighten up the winter. FROGZ is a show that combines mimes, dance, special effects, costumes and music to create a diverse and spectacular experience. FROGZ is presented by Imago Theatre, a company based in Portland, Oregon. 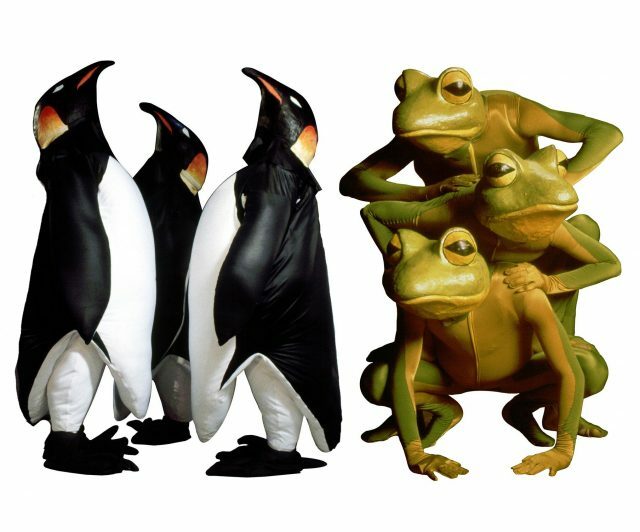 The show used five dancers dressed up as different animals to portray different human emotions. The show is nonverbal and light-hearted, allowing it to be suitable for all audiences. The characters are sassy and charming to keep adults entertained, while children were captivated and mystified. This event was part of the Performing Arts Series. FROGZ also visited a local high school and elementary school to prepare for the event. The show has been running for over 30 years and has performed around the world. It has been described as Fellini-esque mayhem and a bizarre and whimsical piece of art. FROGZ has now been presented twice on Broadway and toured in Europe and Asia. It has been an international success on television as well. The creators of the show, Carol Triffle and Jerry Mouawad, started it all in 1979 by creating masks, costumes and crafting the movements to bring their characters to life as they envisioned them. The show embraces imagination, going above and beyond to amaze the viewers in simplistic ways. It evoked smiles, laughter and awe. FROGZ features penguins playing musical chairs, orbs rolling wildly across the stage, mystifying light illusions, a gigantic paper bag and much more. The production is small, but it yields incredible artistic creation. FROGZ performed in GC’s Umble Center on Friday, Feb. 1, and Saturday, Feb. 2. The next event in the Performing Arts Series will be Seraphic Fire with the American Brass Quintet on Tuesday, Feb. 19.